HOME / TRENDING / SAMSUNG NOTE 7 TO LAUNCH TODAY! WHAT TO EXPECT? 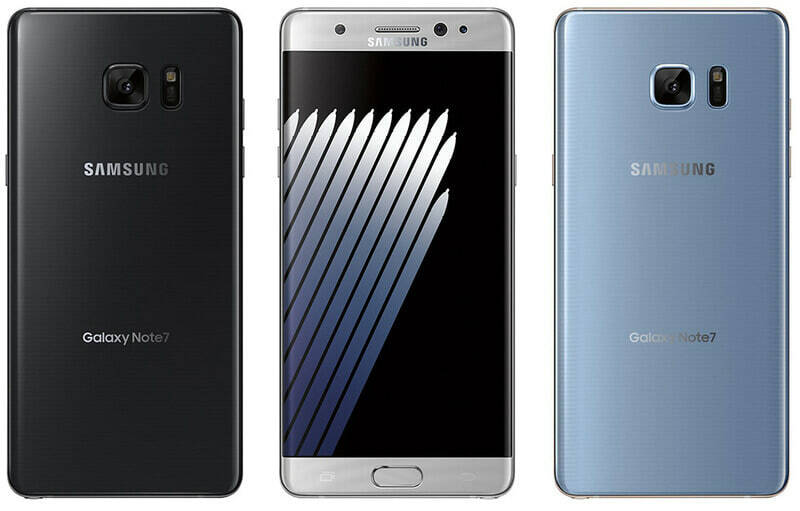 The Samsung Galaxy Note 7 launches today! Samsung says it will be the most powerful Android phone on the planet! Now that’s a power packed statement. And if history is anything to go by, the Galaxy Note 7 will be bigger, faster and more functional than its siblings. And now just to tickle our expectations, a week back Samsung released an advertisement for their hugely anticipated Note! Nice! A very subtle and passionate advertisement. The ad does not show a lot, expect the finger print scanner which makes a return to the Galaxy Note range. But while fingerprint scanners are now the standard amongst flagship devices, the Note 7 is rumoured to debut an Iris scanner. Samsung's Iris scanner is expected to unlock the device after it has checked your identity with a quick scan of your eyeballs. Now that’s a very cool addition to the device! The most exciting tease in the ad comes as five old-fashioned phones are plunged into water. This seems to prove the long-rumoured inclusion of a water resistant design, a first for the Samsung Galaxy Note series. Enough of these speculations! Let’s get to facts now. The design, hardware and display, we are going to tell it all! This is important! When does the Note 7 hit the market? Today! Today! Today! Samsung will kick-off pre-orders for the phone itself and the device might ship on the August 19. And the price? Well, Samsung is tight lipped about the price of the phone! We expect the phone to a bit higher than the Note 6. No surprises there! The power your eyes hold! Unlock the Note 7 with your eyes, yes you read it right! Just like the ad tells us: a quick scan of your eyeballs and unlock your phone. With the Iris scanner, the Galaxy Note 7 user adjusts the phone so that his eyes are positioned within two circles found on the screen. This has to be coolest unlocking system ever! Apple, are you paying attention? We do not expect a redesign, but the Note 7 is to sport slightly improved Note 6 looks. The Note 7 edge will flaunt a curved edge display up front. Water resistant and micro-SD card are probably a go, too. We expect the Note 7 to feature a 5.7-5.8-inch display with a resolution of 1,440 x 2,560 pixels, just like its predecessors, the Note 5 and the Note 6. Now the most important feature of the phone: Camera! The Samsung Note 7 will have 12 MP, 1.25 sensor that sports large 1.4 micron pixels and a pretty wide f/1.7 aperture. Now Samsung has come up with something called as the Dual Pixel Focusing. It basically enables all sensor pixels to take part in the autofocusing making it one of the best cameras around! Ladies, practice those pouts, because the Note 7 camera will get the best of your pouting pixels! Now the technical part of the Note 7! A Qualcomm Snapdragon 823 will make the phone click and tick, alongside a 6 GB RAM. A 3,500-3600 mAh battery could be running the show. All we know is that the Note 7 is a powerhouse! Alas, it seems that the Note 7 won’t arrive with the Android N on board, but the good news is that it won’t take long for Samsung to push the phone to the latest Android version! The signature S-pen is the signature piece of the Note series and will be present in the Note 7 too! This highlight feature gets improved with almost each and every Note generation, and while it's already a pretty good functionality enhancer, there's always room for improvement. The S-pen in the Note 7 will have Bluetooth connectivity which will enhance the proximity accuracy and allow users to use the stylus longer. A stylus that looks stylish! Now this will never go out of fashion! Phew! Now the Samsung Note 7 is a stylish powerhouse! Well, it’s time for all millennials to looks the same!